A global Resource-Based Economy is a complex system unlike any other put forth before. 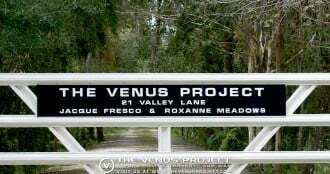 Using a series of documentaries, The Venus Project would like to offer more information about our aims and proposals. Spreading this information across the globe in many different languages is a very important step towards achieving them. Feel free to share this information with others and write to us if you have any questions about the information presented in these materials. This documentary explores the determinants of behavior to dispel the myth of “human nature”, demonstrating that environment shapes behavior. It illustrates how our social structures impose our values and behaviors demonstrating that our global monetary system is obsolete and increasingly insufficient to meet the needs of most people. It concludes with the vision of The Venus Project to build an entirely new world from the ground up, a “redesign of the culture” where all enjoy a high standard of living, free of servitude and debt, while also protecting the environment. This video presentation advocates a new socio-economic system, which is updated to present-day knowledge, featuring the life-long work of Social Engineer, Futurist, Inventor and Industrial Designer Jacque Fresco, which he calls a Resource Based Economy. This documentary details the root causes of the systemic value disorders and detrimental symptoms caused by our current established system. The film details the need to outgrow the dated and inefficient methods of politics, law, business, or any other “establishment” notions of human affairs, and use the methods of science, combined with high technology, to provide for the needs of all the world’s people. It is not based on the opinions of the political and financial elite or on illusionary so-called democracies, but on maintaining a dynamic equilibrium with the planet that could ultimately provide abundance for all people. Paradise or Oblivion introduces the viewer to a more appropriate value system that would be required to enable this caring and holistic approach to benefit human civilization. This alternative surpasses the need for a monetary-based, controlled, and scarcity-oriented environment, which we find ourselves in today. If you want to support us, you can buy a DVD of the documentary in our online shop. What is the difference between Resource Based Economy and the monetary system? Why monetary economics cannot survive? Can we eliminate scarcity? Who makes the decisions? What stands in the way of the transition to such system? The answers to these and many other questions are presented in this documentary. Discover how The Venus Project aims to end territorial disputes, provide a new incentive system and bring the people of the world into a peaceful, productive, global society that cares for its members and the environment. Future by Design is an intellectually and visually engaging documentary following the life of Jacque Fresco. Accepted as the modern day Leonardo Da Vinci, Peer to Albert Einstein and Buckminster Fuller, Mr. Fresco is a self-educated futurist who likes to be considered as a generalist or a multi-disciplinarian — a scholar of several interrelated fields of science. He’s a prolific inventor, industrial designer, and social engineer, having spent his whole life conceiving of and formulating the concept of a Resource Based Economy. The documentary portrays a single man’s vision of the future where war is obsolete, there’s no lack of resources, and our focus as a species is global sustainability and the preservation of the environment. This documentary presents a potential future — with actual and workable alternatives to our present paradigm.